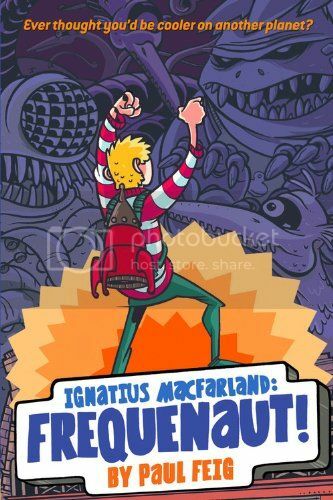 Ignatius MacFarland builds a homemade rocket to escape the torments of being a seventh grade Earthling. But he somehow manages to blast himself into another frequency. And this strange frequency world is run by a former English teacher by the name of Mr. Arthur. Mr. Arthur wasn’t much of a teacher on Earth. He’s an even worse dictator here. Iggy teams up with another Frequenaut to battle Mr. Arthur and get back home alive.